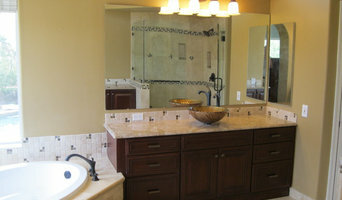 Since 1999, Mark Steven Construction has specialized in custom remodeling services through out the Phoenix area. From the simple to lavish, no job is too small or too big for our knowledgeable crews. Whether it's getting your home remodeled or fixing damage that's been done to your home, we're here to help you every step of the way. We've got all your needs covered: from residential remodels, to commercial damage repairs and everything in between. All of our staff are friendly and knowledgeable because we know what it's like to be in your shoes. Your project is important to us, so we do our very best to ensure that you and your needs always come first. Contact us today for a complimentary estimate. We are happy to come out to you! At First Option Design Build LLC we specialize in panoramic door install projects. We also do residential and commercial redesigns, remodels and additions. We love to help redesign floor plans, move walls and create new spaces with a fresh look for our clients. Contact us today to get started on your project! We are a major installer of " Glass Wall " Panoramic Door slide and stack systems which have a unique and easy to use design. Aspect Fine Homes specializes in custom home construction, pool construction and absentee home management. Our team has built and currently cares for some of North Scottsdale’s finest custom homes. 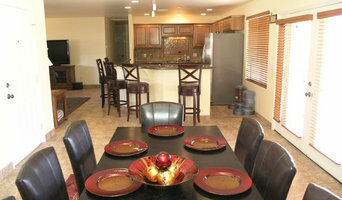 We manage the projects with respect to design, budget, schedule, finishes and maintenance needs. Each home project constructed or cared for is delivered with the highest level of service, organization, craftsmanship, and professionalism, no matter the size or complexity. SPACES is a custom, full-service design firm that focuses on bringing concept to reality. We want to create an exceptional design project that fits our clients needs and is both innovative and enduring. We believe that “it’s all in the details”, and with our eye for design, we will work to transform your interior and exterior spaces into what you've always dreamed. We work in Scottsdale, Phoenix, and Los Angeles and have been in business for over 20 years! Welcome to RD Design Team, Inc.! We, Dora Castillo and Rafael Castro, are the founding principals of RD Design Team, a vertically integrated firm that offers Architectural Home Design Services in the Phoenix metropolitan area. We are a husband-wife team that uses a multi-faceted set of skills to create climate-appropriate and socially responsible contemporary infill and remodel projects in Phoenix. We are proud of our housing projects because we employ innovative modern design, sustainable building strategies and a social mission to improve urban neighborhoods to every single one. We have always been drawn to the clean lines of modernism and this is the style that we bring to our development projects. Our particular brand of contemporary modernism is imbued with Spanish and Mexican influences and is firmly rooted in the climate and conditions of the desert Southwest. We specialize in ground-up urban infill homes and remodeling of older Phoenix houses, adding a modern flair to the historic character and creating contemporary and comfortable spaces for families, couples and individuals. Because we are vertically integrated and experienced in both the design and construction aspects in-house, we ensure that projects stay on budget and on schedule and are executed with the highest possible quality. Give us a call or message today to learn how we can help you with your new home or remodel! Welcome to Precision Home Development whether you are looking to transform a piece of land into a luxury estate or a simple remodel we are here to meet your needs. We work together with our clients to evaluate their desires from lifestyle to budget considerations. Precision Home Development stands behind their motto “Quality integrated with value” incorporating this in to all aspects of the building process and believes that communication is another key ingredient and it is incorporated into every plan. Overall from design to completion Precision Home Development is totally involved in every step of building your vision. AWARDED -BEST OF HOUZZ 2019, 2018, 2017, 2016 and 2015 Interior Designer,-Commercial and Residential Claudia Dabdoub, with her education in Architecture and Interior Design as well as 28 years of experience in the industry has set her apart from the competition. Claudia’s attention to detail and always keeping up with the design trends has helped her to design stunning interior spaces. She is involved throughout the design phase till completion, to ensure customer satisfaction. 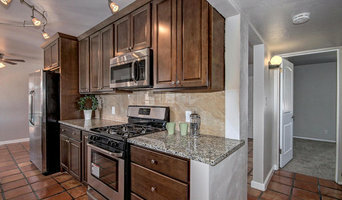 Claudia specializes in custom cabinetry, kitchen design and kitchen remodel. Call to schedule your appointment 480.751.9938. “Where quality people, materials and installation meet integrity, character and attention to detail" We are a general contractor licensed, bonded, and insured in all aspects of residential/commercial construction. Cliff is broadly knowledgeable of diverse construction procedures and principles, installation methodologies, as well as OSHA and building safety codes. He is also skilled at establishing and maintaining constructive relationships with all levels of professionals including clients, vendors, internal departments, and upper management. Lastly, he is dedicated to leveraging outstanding management skills in handling and accomplishing all assigned tasks within specifications, time, and budget constraints. Feel free to reach out to us, we would love to hear from you! 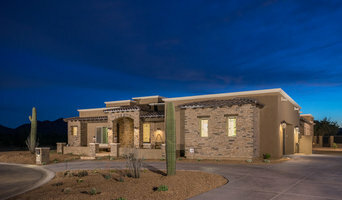 Tucson's Award Winning Architect & Design Firm Best of Houzz!